INDIA: Taking advantage of the highest recorded generation in August this year, the Tamil Nadu state utility, Tangedco, traded excess wind power through spot sales on the power exchange. By the end of the month, Tangedco sold 11.94GWh to various takers, earning INR 61.7 million ($950,000). "Tangedco sold wind power on 14 days in August during peak hours in the evening. On average, wind power was sold for two to four hours per day, and it works out to around 500MW per day, " a senior utility official said. "The average cost at which wind power was sold to other states was INR 5.16/kWh ($0.08/kWh) and the distribution companies purchased wind power at a cost of INR 3-4.15/kWh," the official added. This is the first time the utility has actually made a profit by trading wind power, making it a significant milestone in a battle of perceptions that has plagued the wind industry. 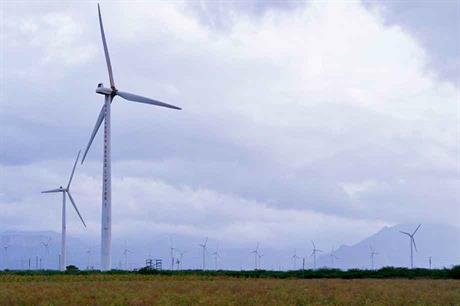 Tamil Nadu, the state with the highest installed wind power base, has been consistently recording higher wind-power generation in the windy June-September season. In July, the state recorded over 5GW of wind power supply for the first time. In August, it achieved the highest single-day wind power generation, exceeding 100GWh. The record supply in July and August also prompted the utility to cut down thermal power generation, up to 50% at times. This is a far cry from last year, when nearly 40% of wind-power generation could not be put on to the grid due to transmission constraints. Enhanced transmission connectivity, better corridor management and generation forecasting have helped the state integrate the maximum possible amount of wind power. A Tangedco official said the state was keen on maximising such opportunities and earn extra revenues by trading wind power.